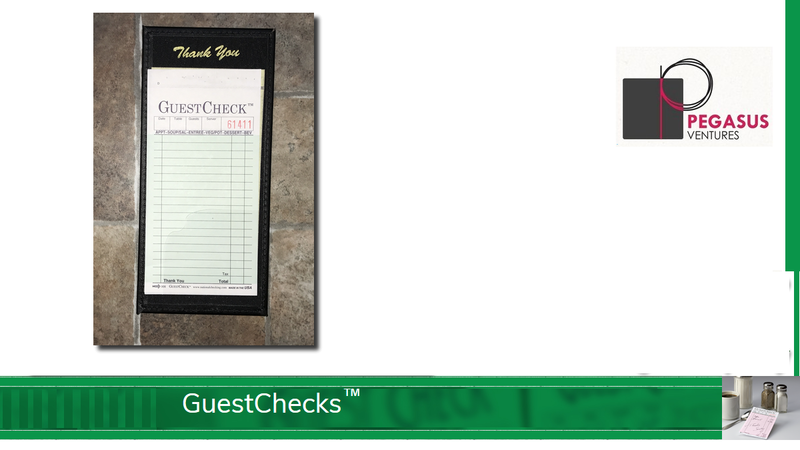 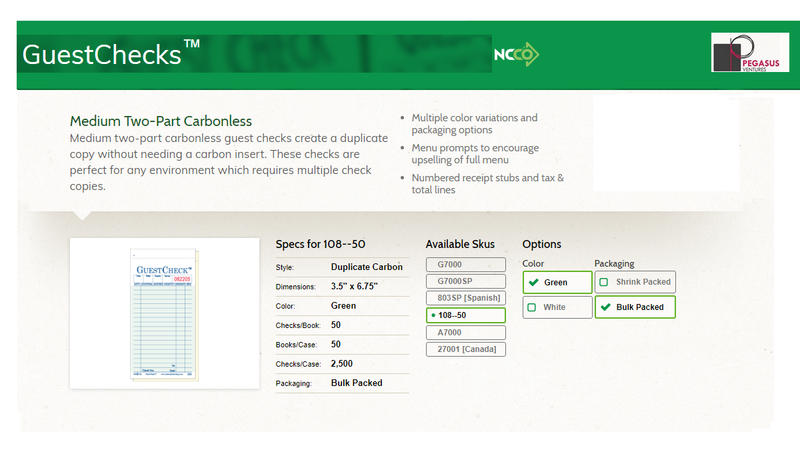 The Adams brand 108-50 green medium two-part carbonless guest checks printed by National Checking Company create a duplicate copy without needing a carbon insert. 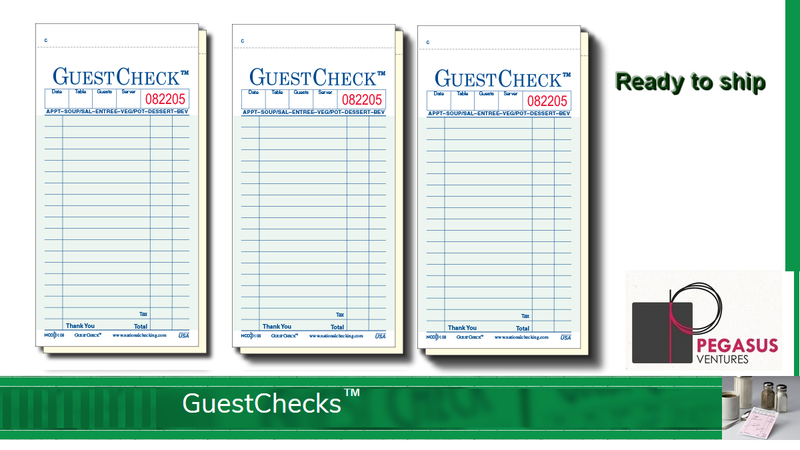 The 108-50 restaurant guest checks are perfect for any environment which requires multiple check copies. 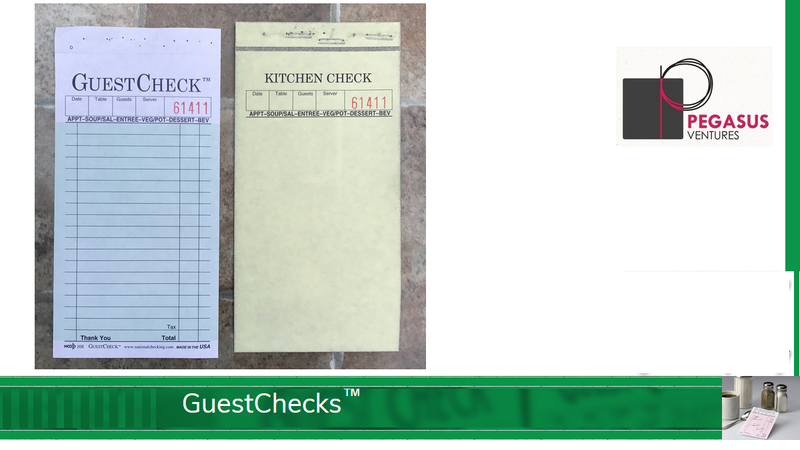 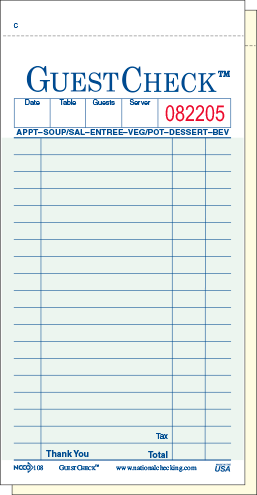 Menu prompts encourage upselling of the full menu and these guest checks feature numbered receipt stubs as well as tax & total lines. 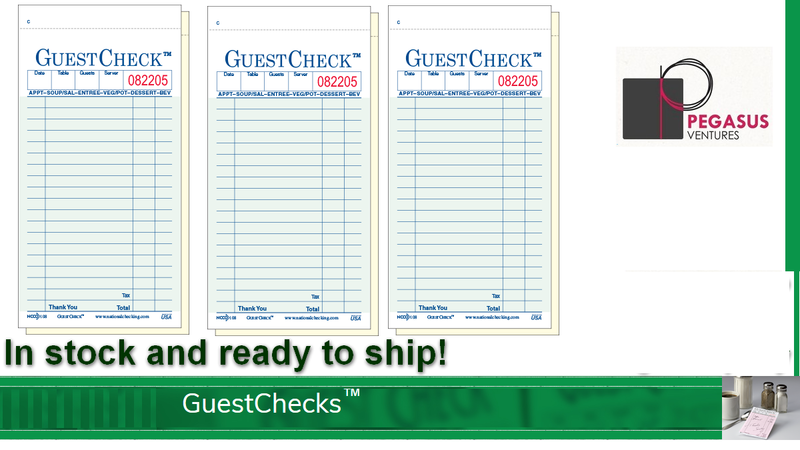 The 108-50 guest checks come bulk packed in cases of 2,500 guest checks with both copies printed using bond paper. 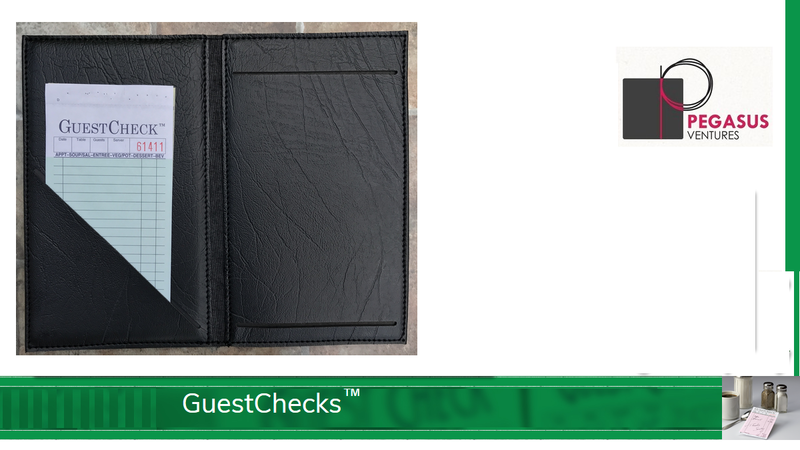 Each book has 50 2 part guest checks along with a wrap around paper to prevent writing through to the next guest check. 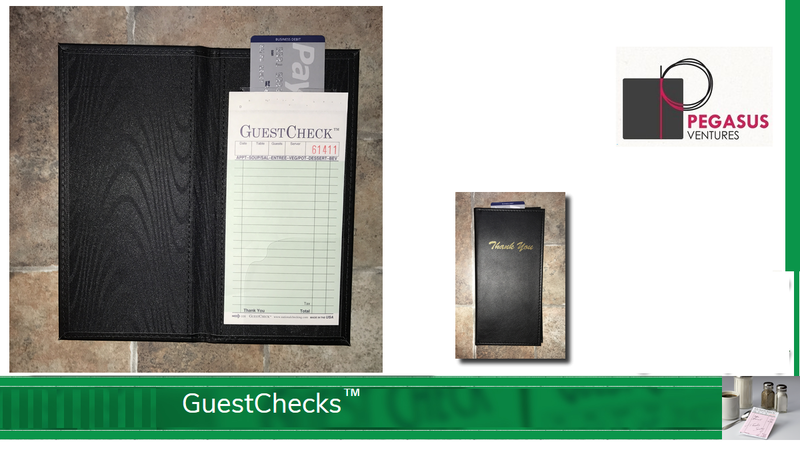 Pegasus Ventures offers AL-400 guest check holders to assist wait staff in taking orders with the 108-50 Adams Guest Checks printed by National Checking Company to present the check at the end of a meal and collect payment, credit cards, cash and tips from customers. 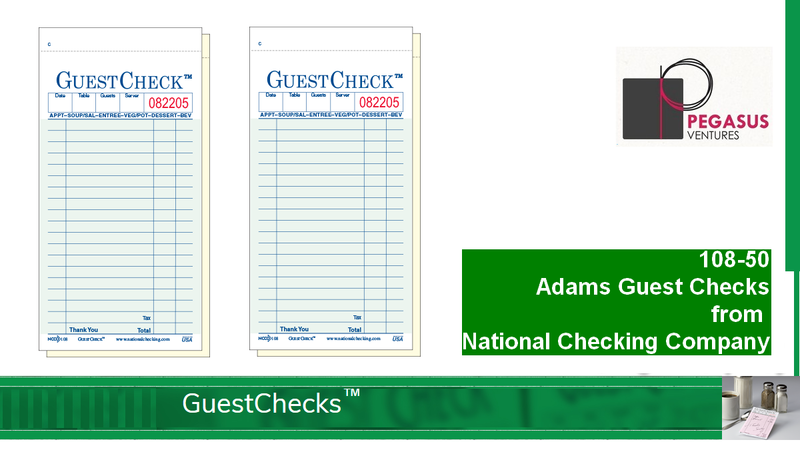 The 108-50 Adams brand restaurant guest checks printed by National Checking Company are always in stock and ready to ship to your restaurant, catering business, institutional kitchen as well as your home.